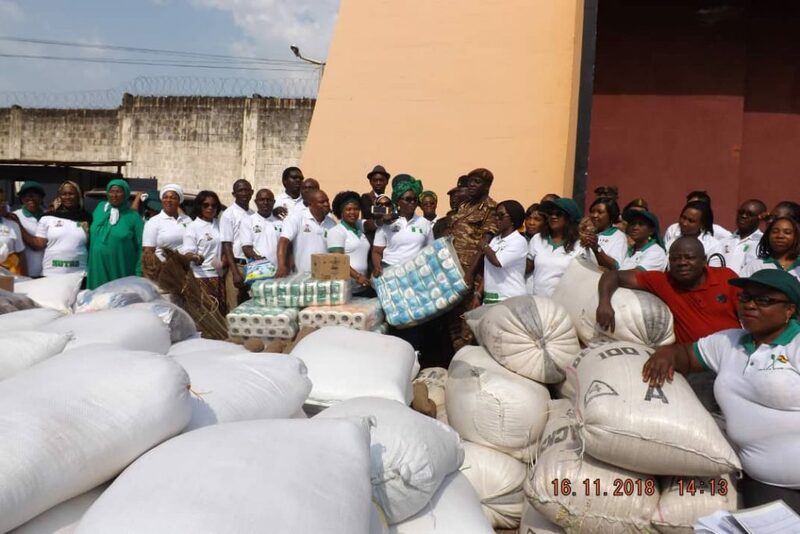 Spouse of Nigerian Ambassador to Ghana, Mrs. Margaret Kikelomo Abikoye presenting foods and other items to the Deputy Director of Prisons,Owusu Amponsah at Nsawam Prison, Ghana. 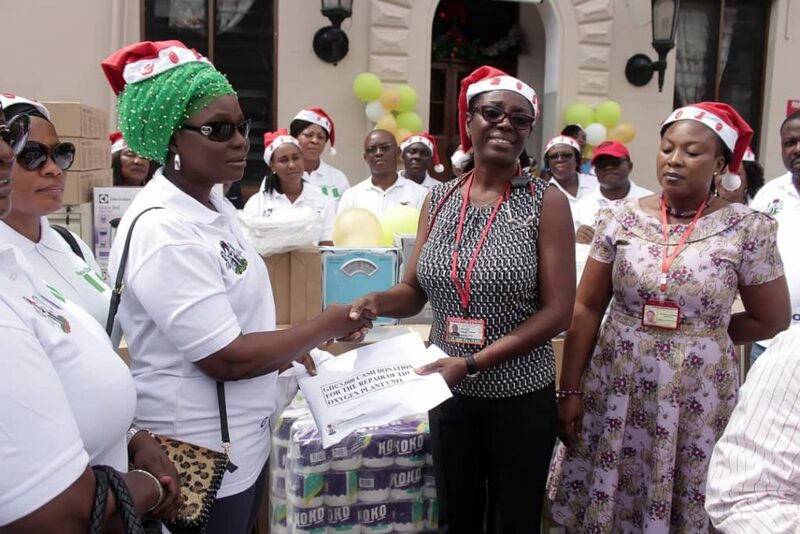 The spouse of the Nigerian High Commissioner to Ghana, Mrs. Margaret Abikoye has donated foods and other items to Nsawam Maximum Prison and Princess Marie Louise Hospital, Accra, to honour the promise she made at the first Charity Bazaar held in Accra in September, 2018 as part of activities to mark the 58th Independence Anniversary of Nigeria. Nsawam prison with over 3500 inmates is reputed to be one of the largest in Africa. 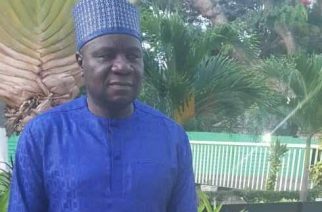 Over 200 of the inmates are Nigerians. 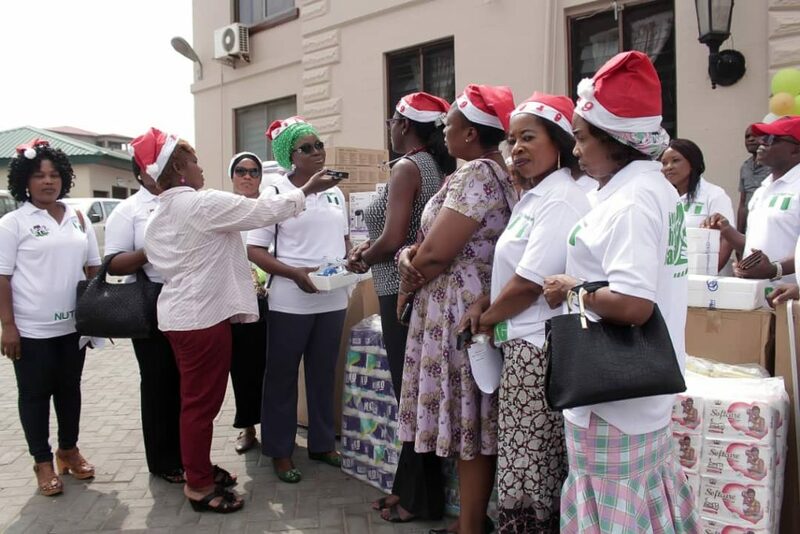 The Charity Bazaar was organised in collaboration with the Nigerian Women Association in Ghana and the Nigerian Union of Traders Association Ghana (NUTAG) and attracted corporate and individual sponsors. 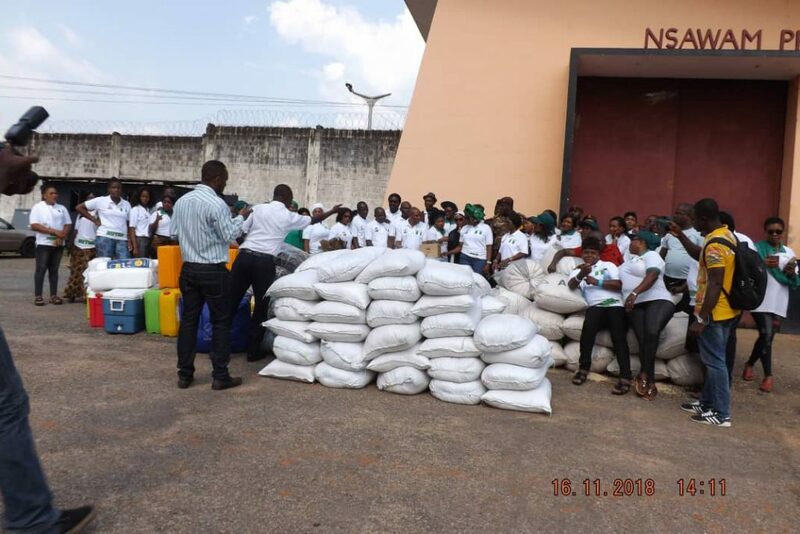 Part of the proceeds was used to procure the donated items. 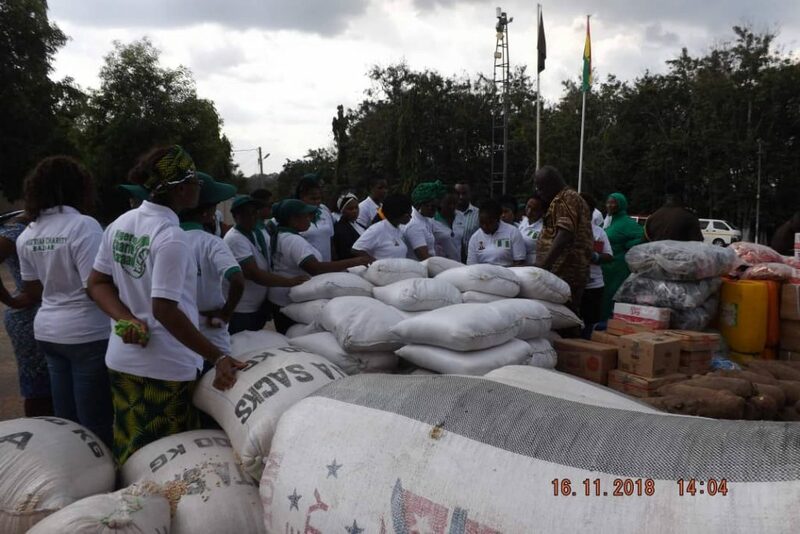 Mrs. Abikoye had promised at the Bazaar that funds raised would be channeled towards assisting Nsawam Maximum Prison, Children’s’ homes and other social facilities. 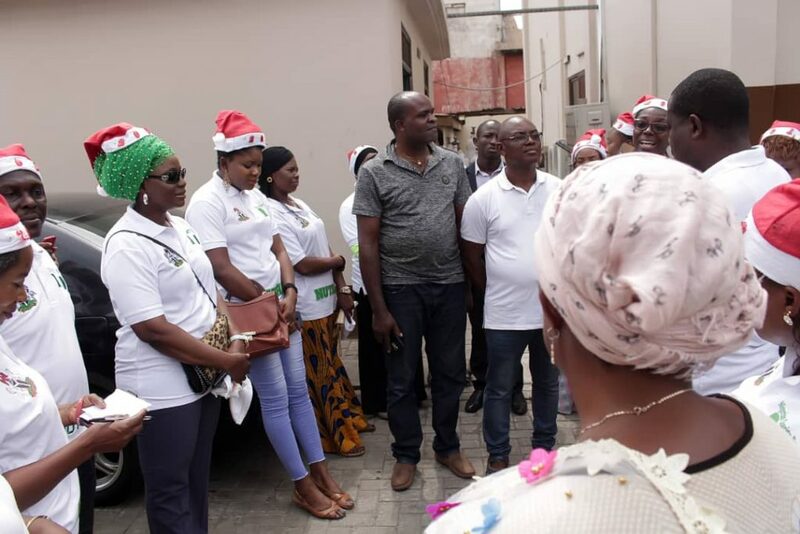 The Ambassador’s spouse accompanied by spouses of Nigerian Diplomats, representatives of Nigerian Women Association in Ghana and the Nigerian Union of Traders Association (NUTAG) visited the Nsawam Maximum Prison to make donations. 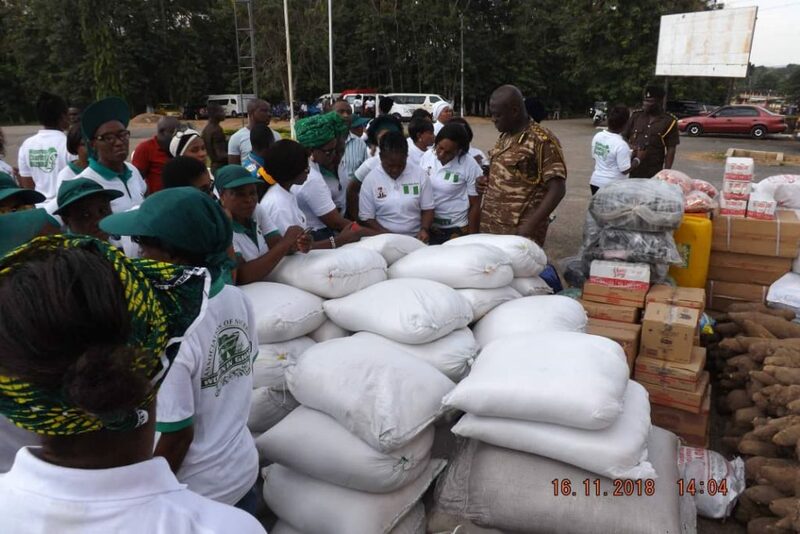 Receiving the items, the Deputy Director of Prisons of Nsawam Prison, Owusu Amponsah expressed gratitude to Mrs Abikoye and her team for the gesture. 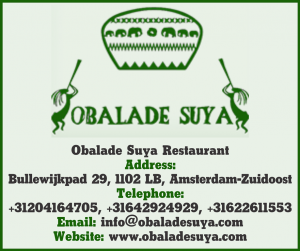 He disclosed that the food in stock is not enough for the over, 3, 500 inmates who eat 21 bags of rice every day. He also used the opportunity to appeal to the government to increase feeding fees for inmates from GHC1.80 to GHC5. Amponsah also appealed to corporate bodies to take a cue from the team and offer more assistance to the facility. Highlight of the visit was payments made by Mrs. Abikoye to secure the release of inmates with fines to enable them reunite with their families. The fines range between GHC360-720. 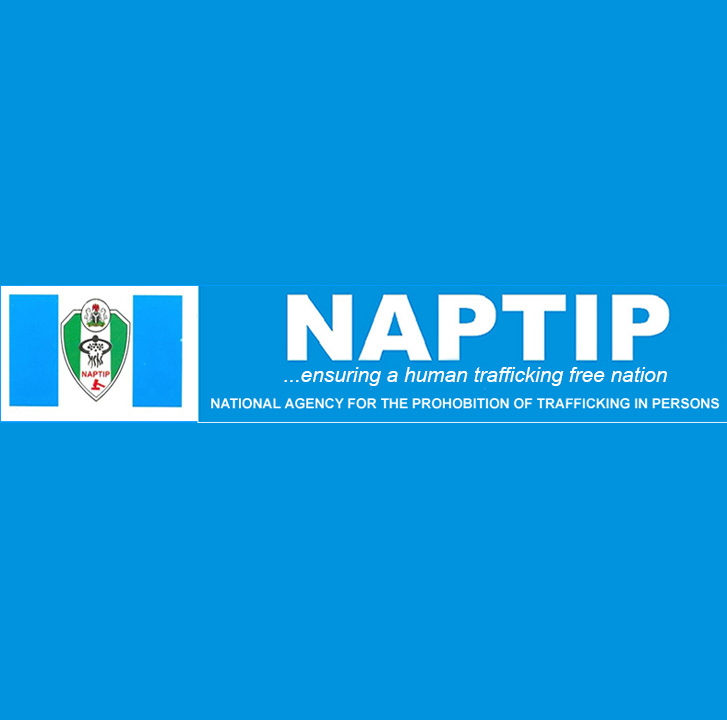 In all, six inmates including two Nigerians regained their freedom. 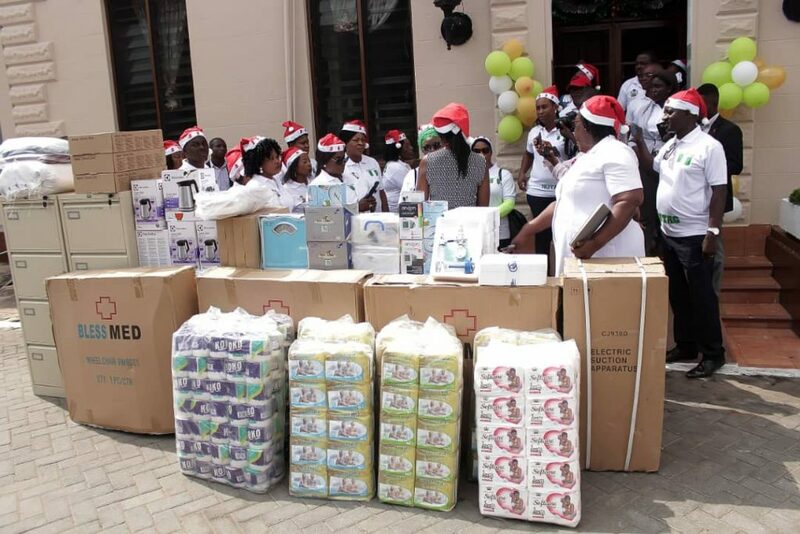 Mrs. Abikoye and the team also visited Princess Marie Louise Hospital (Children Hospital) in Accra to make donation at the health facility. 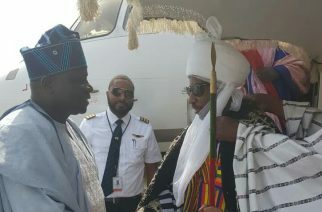 She explained that President Buhari has directed all Nigerian Diplomatic Missions to promote the general welfare of Nigerians living abroad and to ensure that they contribute to their host countries. Items donated at the hospital includes; re-painting of the Father Campbell’s Ward, standing scale, children’s scale, infant weighing scale, BP Apparatus for Children, BP Apparatus for adult, mask & bag for infants, mask & bags for children, suction machine, children’s bed with mattress, Oxygen flow metre, wheel chair, finger Pulse Oximetre, Electrolux kettle, Blankets, diapers, cabinets, and a cash donation for repairs of the oxygen plant unit of the hospital. Dr. Mame Yaa Nyarko, a Medical Superintendent, who received the items on behalf of the hospital, thanked Mrs. Abikoye and her team for the gifts and intervention. 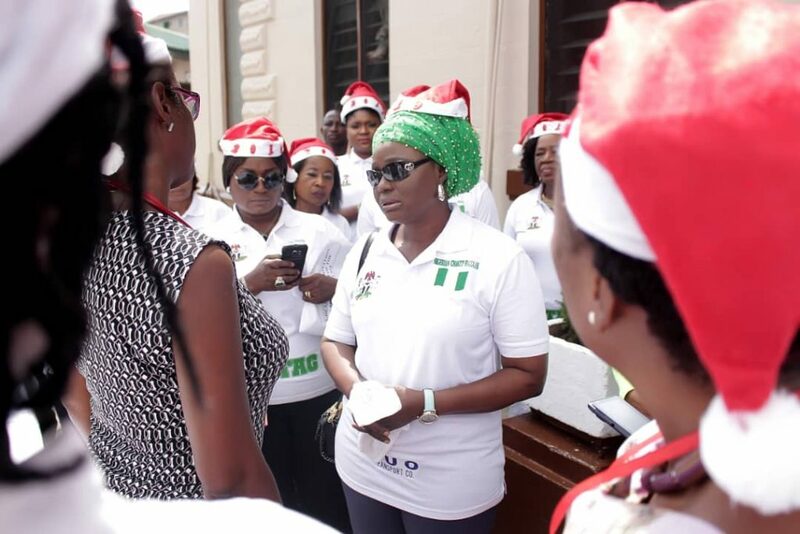 She revealed that the hospital which caters for vulnerable patients depends largely on donations from individuals and corporate bodies to meet its needs. 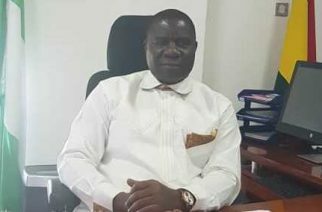 It would be recalled that Nigerian High Commissioner to Ghana, Ambassador Olufemi Michael Abikoye in April this year paid a working visit to Nsawan Prison where Nigerian inmates there appealed to the Federal Government to fast-track the process for signing of the Prison Transfer Agreement with Ghana to enable them complete their jail terms in Nigeria. There are over 300 Nigerian prisoners serving various jail terms in Ghana.